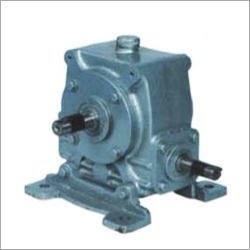 Our product range includes a wide range of horizontal gear box. We are engaged in offering a comprehensive range of Horizontal Gear Box that are manufactured using premium quality raw material and latest technology in compliance with industry norms. Further, our offered range is tested on various quality parameters to ensure their flawlessness. Available in various specifications, offered range is widely used across the process industries. Moreover, offered range can be availed by our clients at reasonable prices.